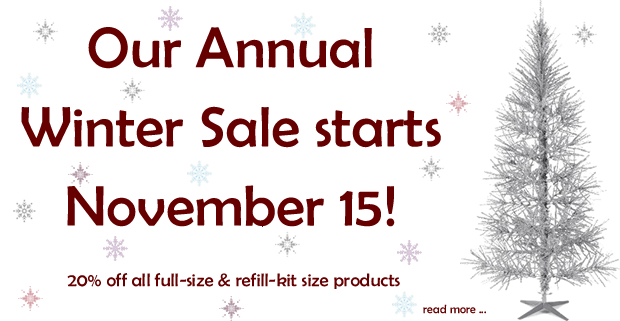 Our Annual Winter Sale starts November 30. 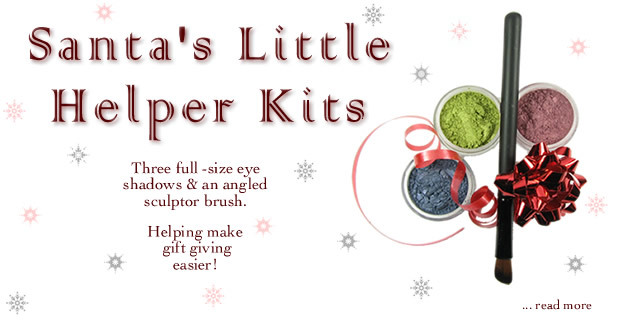 From Friday, November 30, 2012, until Monday, December 31, 2012, all of our full-size and refill-kit-size minerals will be on sale at 20% off. This sale runs for such an extended amount of time as we want to make sure that everyone has a chance to order samples, test them out and still have enough time to order full-size jars or refill kits. Please be sure to stock up on your favorite Buff'd mineral products as once the sale is over our next sale is not until March 2013! Sale ends midnight Monday, December 31, 2012. 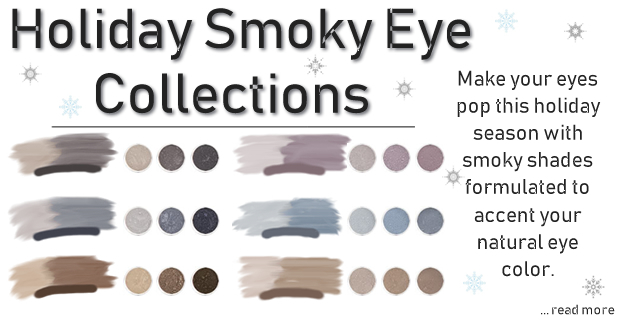 Smoky shades specifically formulated to make your natural eye color pop. The smoky eye is a must-have fashion accessory and there is no better way to accent your natural eye color than to surround it in shades that are the opposite of your eyes. Buff'd has put together six fantastic eye shadow collections aimed at making your eyes stand out: Smoky plums for green eyes; Slate blues for brown eyes; and Soft browns for blue eyes. Now available in Satin Pearl and Velvet Matte.